Experts are still debating that question. Some say a vegetarian diet is fine for kids (in fact, the American Dietetic Association endorses vegetarian diets for all ages). Others worry that limiting their choice of foods may prevent kids, who tend to be picky eaters to begin with, from getting the nutrients and calories they need in order to grow. But if you feel strongly about not consuming meat — or your child has suddenly announced that she’s a vegetarian — don’t fret. A veggie diet can be perfectly healthy; it just takes a little more planning and care. The key is providing your child with nutritious options and lots of variety. In some ways, in fact, vegetarian meals can be more healthful than meat-centered ones, since they’re likely to contain more fiber and antioxidants. Can my child get enough protein on a meatless diet? Yes. Meat isn’t the only source of protein. Beans, peas, seeds, nuts, and nut spreads like peanut butter are excellent sources of protein. Even grains and vegetables have small but significant amounts. What’s more, most vegetarians continue to eat eggs and dairy products such as cheese and milk, which are also rich in protein. Will my child get enough vitamins and minerals? Kids who not only shun meat but also turn up their noses at vegetables are likely to come up short on vitamins and minerals. 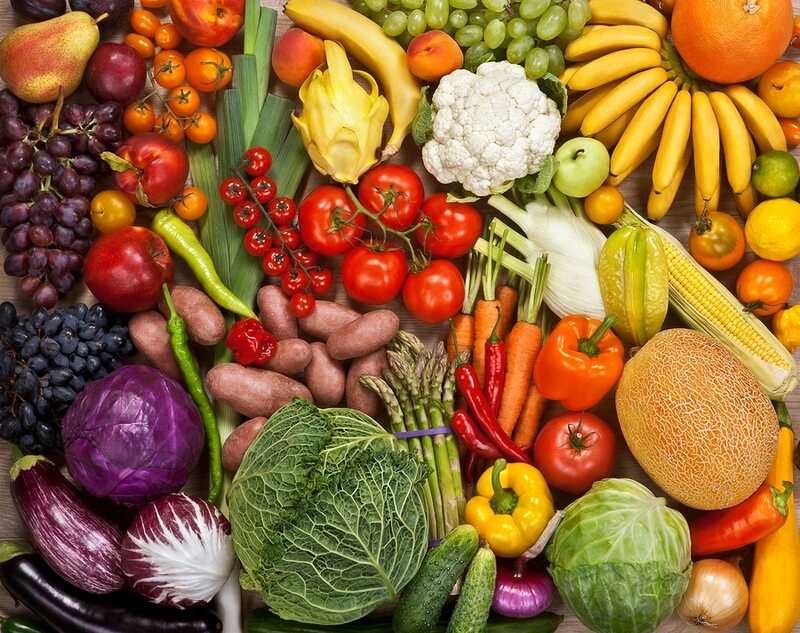 A healthful vegetarian diet must contain a variety of fruits, vegetables, and whole grains — and plenty of them. A few vitamins and minerals require special attention. Eliminating all meat, fish, and poultry makes it harder to get enough iron, which children and teens need in order to grow. Fortunately, legumes, dried fruits, nuts, seeds, and dark green vegetables contain iron. The nutrient can also be found in fortified bread, rice, pasta, and most breakfast cereals. Iron from plant sources is hard for the body to absorb, however. Foods rich in vitamin C, such as tomatoes, broccoli, orange juice, and berries, can increase iron absorption; try serving at least one of them at every meal. If your child is still breastfeeding, you can relax about this a bit: Breast milk increases iron absorption, too. But keep in mind that some foods — including bran and egg yolks, and drinks like tea and coffee — reduce the amount of iron that the body absorbs. Vegetarian diets also tend to be lower in zinc, which is abundant in meat. To boost your child’s zinc intake, serve plenty of nuts, beans, and fortified cereals. Your child may also have trouble getting vitamin B-12, which isn’t found in plant-based foods. If she eats dairy products, you have nothing to worry about. But if she doesn’t consume milk, cheese, or eggs, load up on packaged foods that have been fortified with B-12. You may also want to consider a daily multivitamin, just in case. The stricter your child’s diet, the more likely she’s not getting enough of this bone-building nutrient. So-called ovo-lacto vegetarians, who eat eggs and dairy products, probably don’t need to worry about their calcium intake. But vegans, who don’t eat dairy or eggs, may fall short on calcium and vitamin D unless they’re vigilant. Broccoli, collards, kale, and turnip greens are excellent sources of calcium — but good luck getting your child to eat enough of them to meet the recommended adequate intake of 210 to 1,300 milligrams a day. (The amount varies according to age. Still, a cup of broccoli contains only about 42 mg of calcium.) If your child is a vegan, look for foods that are fortified with calcium, such as orange juice, as well as foods with added vitamin D, like margarine and soy milk. Again, you may also want to consider giving your child a multivitamin that has calcium or an antacid, such as Tums or Children’s Mylanta, that provides easily absorbed calcium. Will my child get all the calories she needs on a vegetarian diet? Some experts worry that a diet consisting entirely of fruits, vegetables, legumes, and grains may not deliver enough calories for growing children. That’s because these foods tend to be low in calories and high in fiber, which is filling. But nuts, peanut butter, seeds, and dairy products are high in calories. As long as your child can help herself to as much of these foods as she wants, she won’t lack energy. Keep in mind, however, that an extremely low fat diet, such as one designed to help adults lose weight, isn’t appropriate for kids. Moreover, children under 2-years-old have a serious need for fat in their diet: It’s necessary to brain development. How can I encourage my child to get enough variety? Talk to her about the importance of a well-balanced diet, especially if she’s decided to become a vegetarian on her own. Explain that while a diet of french fries and corn chips may be vegetarian, it’s far from healthful. Help your child eat a variety of nutritious foods by keeping different nuts, seeds, fruits, and vegetables out where she’s likely to snack on them. Also, involve your child in shopping and cooking, which might encourage her to experiment with new tastes. And look for ways to add variety to dishes she already likes. If vegetarian chili is a hit at your house, for example, try simmering it with chopped red cabbage. Experiment by adding a new vegetable like zucchini or bell peppers to her favorite pasta. Roberta Larson Duyuff, MS, RD, CFCS, The American Dietetic Association’s Complete Food & Nutrition Guide. Wiley. 2006. Food and Nutrition Health Library Copyright ©2015 LimeHealth. All Rights Reserved.